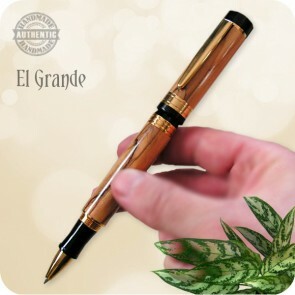 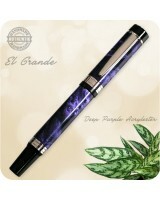 This beautiful El Grande Rollerball Pen was handcrafted from authentic olive wood from the ancient city of Bethlehem in Israel and finished in the lifetime durable Titanium Gold plating. 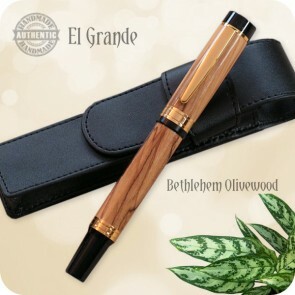 This wood comes from the pruning of young trees or the sprouts from trunks of old trees which have been bearing fruit since the time of the Romans. This is a truly bold, and straight forward writing instrument that is both fitting for the professional desk or pocket alike. 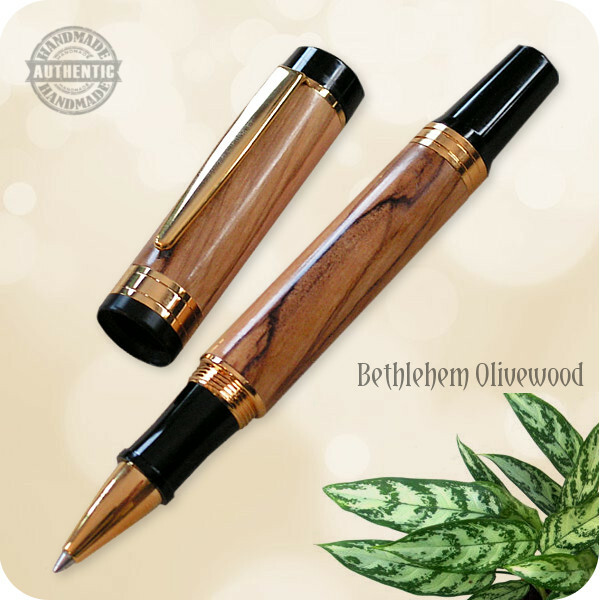 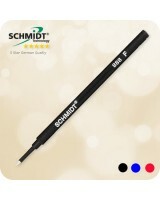 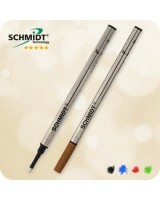 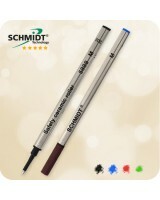 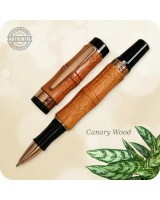 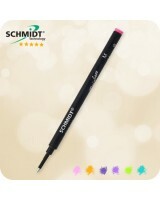 Satisfy your love of pen collection with this beautiful writing instrument!